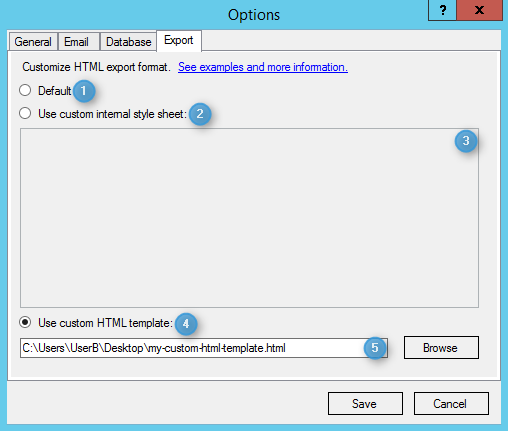 AD FastReporter Pro enables you to customize HTML export files. Use the built-in HTML export style. Internal styles are defined within the <style> element, inside the <head> section of an HTML page. Your custom style sheet content. Use HTML template file with placeholder for report data. Placeholder - <!--AD FastReporter-->. The HTML template file path that will be used in a report exporting as a template. All report data will be exported in the <table></table> tags.